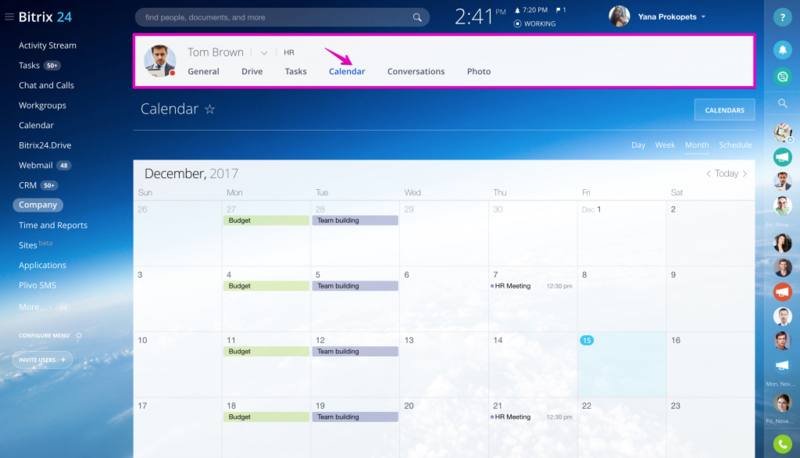 In Bitrix24 you can add other user calendar or workgroup calendar to your Calendars list. 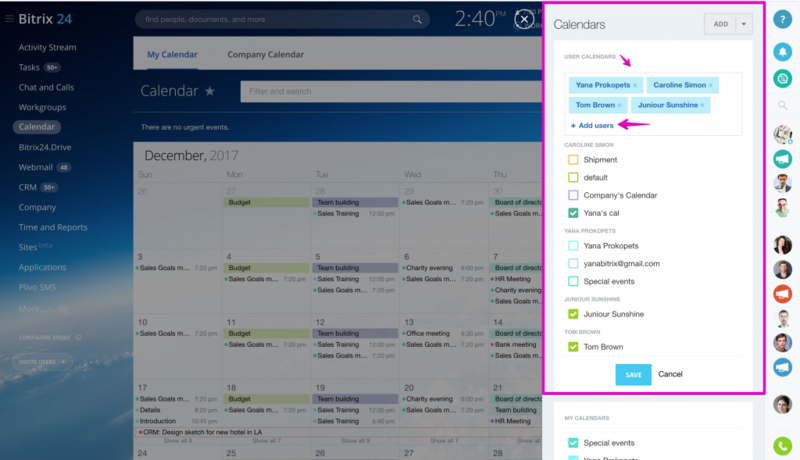 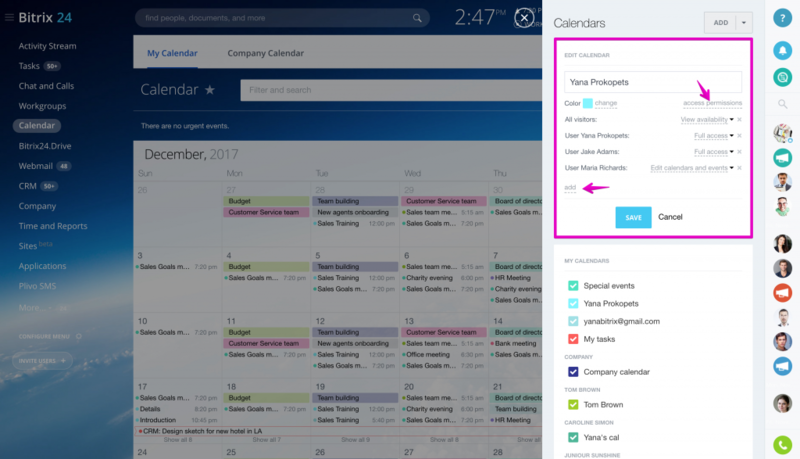 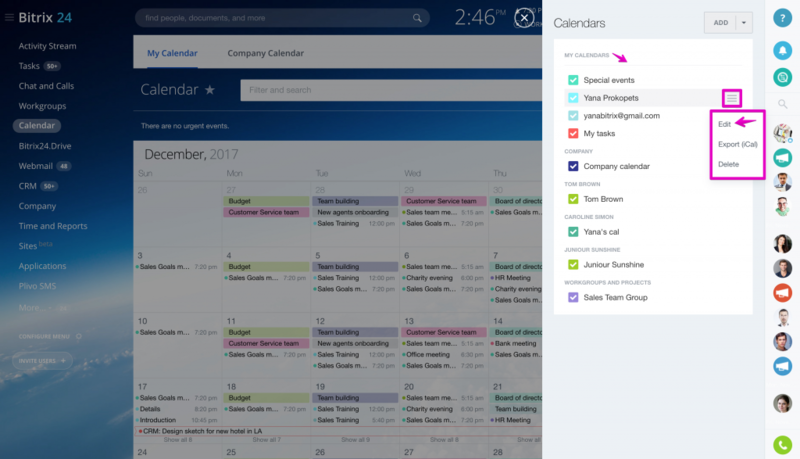 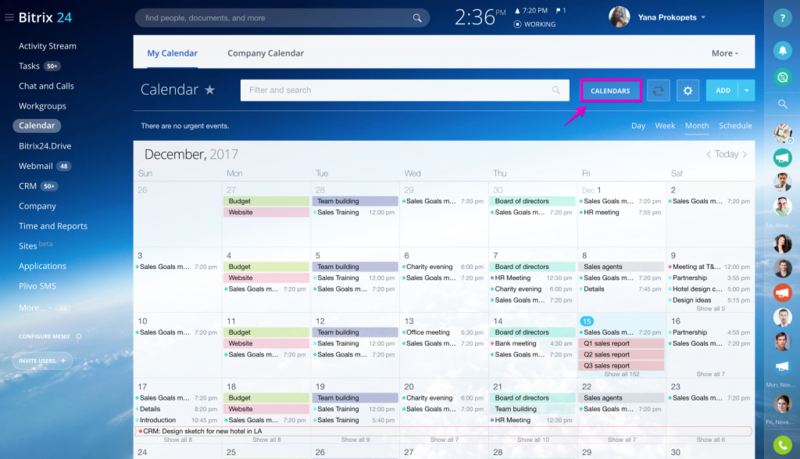 It will allow you to view multiple calendars events at the same time from My Calendar section with no need to go the user or group calendar. 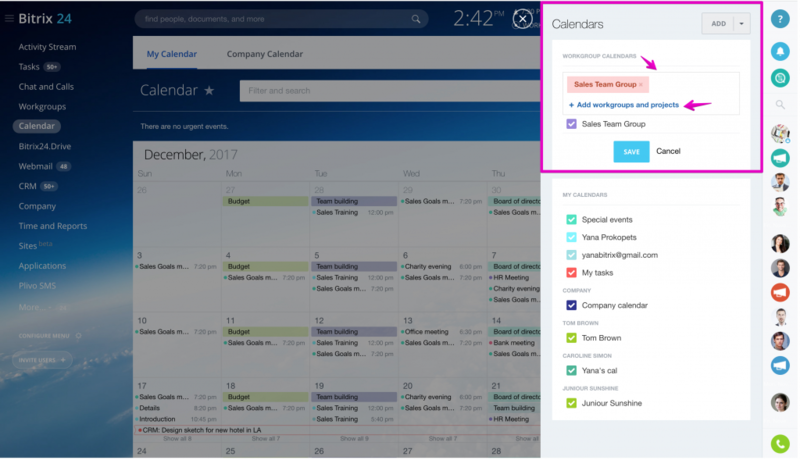 Please note that Favorite Calendars (connected user or workgroup calendars) allow to view connected calendars events only, not edit or add new events.